With two farmhouses and a post and beam barn was built in the 1800s, Jorgensen Farms is surrounded by rolling fields and dense woods, providing endless opportunities for photographs. The farm offers a variety of backdrops to suit all tastes: wildflowers, wooded areas, stately trees, and flower beds. The Oak Grove venue features an open air patio and courtyard shaded by century-old oak trees as well as a fire pit to warm up a wedding party that extends into the evening. The nearby Grace Pond also serves as a magical backdrop for memorable wedding photos. The Historic Barn has four separate areas: The Potting Shed and Patio is a lovely brick patio made of reclaimed materials, the Main Barn with its post and beam structure, the rustic Arena, and the half-acre Flower Field with its expansive flower beds all offer unique photo opportunities for creative couples and photographers. A wedding day ought to express everything that a couple values and loves. Jorgensen farms offers wholesome food in a healthy environment, as well as a sense of connection to the earth and to the community as a whole. If you are looking for a wedding venue that is permeated with a love for nature, agriculture, and wholesome family values, Jorgensen Farms will make all your dreams come true. Both farmhouses are air-conditioned and includes multiple facilities and services including Wireless internet connection. Hosting a wedding at Jorgensen Farms comes with multiple extra perks. For one, Jorgensen Farms' wedding coordinator helps couples develop and schedule all activities, taking a big load off the couple's mind. The farms also arrange pre-wedding photo arrangements, outdoor wagon rides, bonfire enclosures, transportation for guests needing assistance, and more. 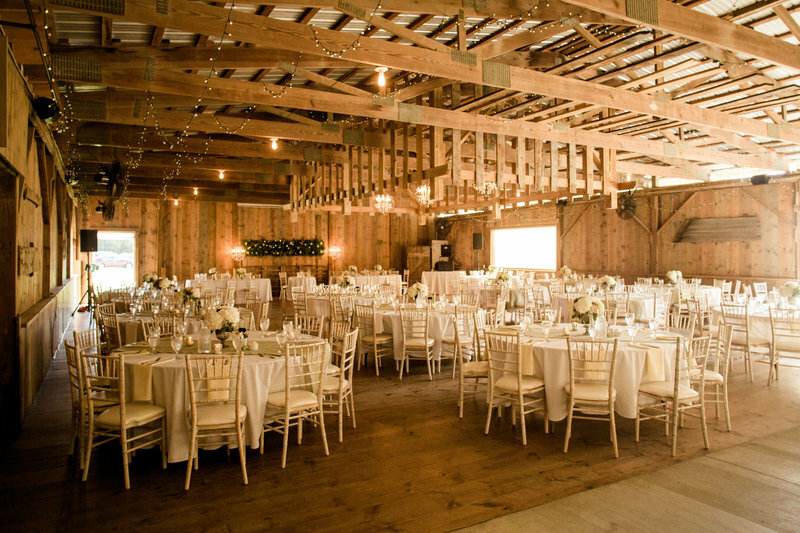 Jorgensen Farms offers professional event staff as well as venue-provided tables, chairs, and linens. It also offers optional on-site floral design, catering and guest favors, and lawn games. Jorgensen Farms offers many unique and inviting indoor and outdoor event spaces, hosting from 15-400 guests. The spaces include an expansive arena, majestic barn, vine-covered patio, spacious meadow, fruitful orchard, and an expansive lawn. Each location offers different amenities and guest capacities. 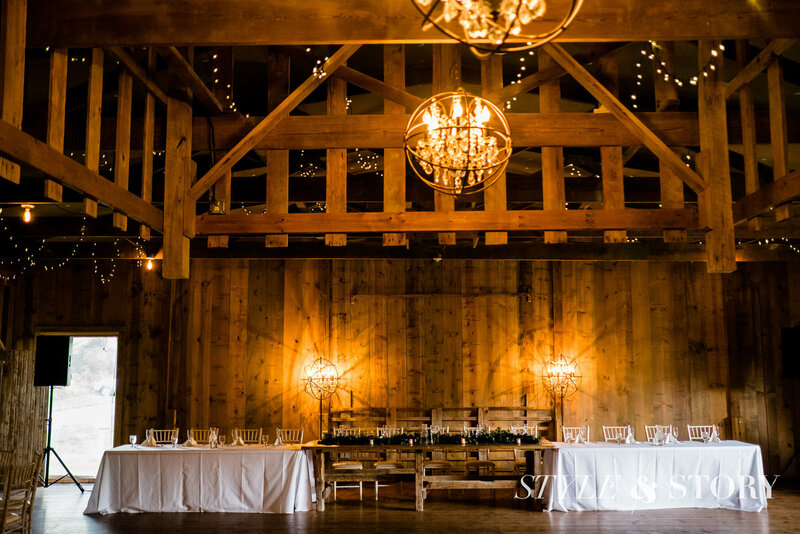 The two main venues at Jorgensen Farms are the Historic Barn and the Oak Grove. The Historic Barn is a spacious, vintage soft-white-and-yellow structure, while the Oak Grove offers a greenhouse from the early 1900s and a cottage painted in neutral palettes of white, black, green, and gray. Jorgensen Farms is located in Plain Township in Franklin County, Ohio and specializes in year-round herb production. As a working farm with garden spaces offering much-sought-after wedding venues to interested couples, Jorgensen Farms has two farmhouses, a great barn, and 100 acres of organic surrounding farmland. Jorgensen farms is not just a farm, but a homestead that seeks to promote the growth of the community as well as the fields, and is deeply rooted in the spirit and love of agriculture. The story of the Jorgensen family's love for farmland spans five generations. The current owner grew up on a Michigan farm before starting her own farm in 1992 to teach her children how to garden and care for the natural world. In 2002, Jorgensen Farms was opened to the public for weddings and other special, meaningful events. 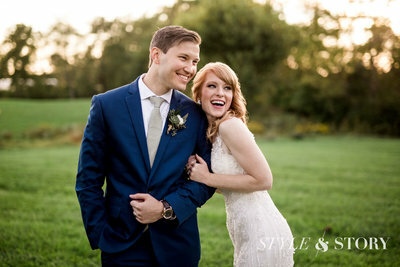 Click to see Tylar & Grant's incredible wedding at Jorgensen Farms. 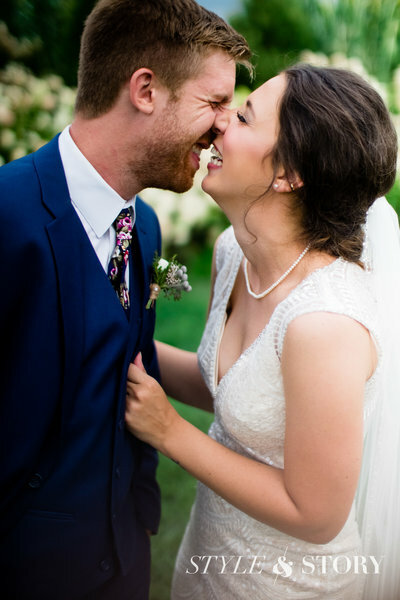 Click to see Kristi & Luke's incredible wedding at Jorgensen Farms.